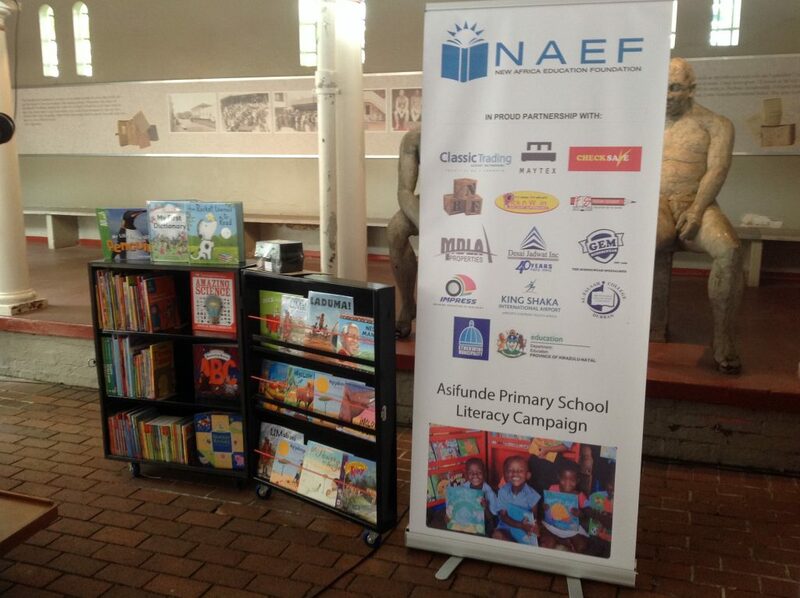 Celebrating South African library Week with the launch of the exciting “Asifunde Mobile Library literacy campaign” in collaboration with local Kzn business, EThekwini Municipality and Department of Education (DOE Kzn) ….. 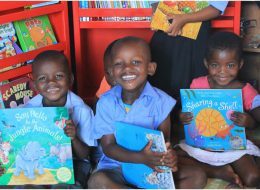 The Durban business community’s partnership with the eThekwini Municipality and the Department of Education has resulted in a welcome boost for Education in the Phoenix, Inanda, Ntuzuma and Kwa-Mashu (PINK) areas. 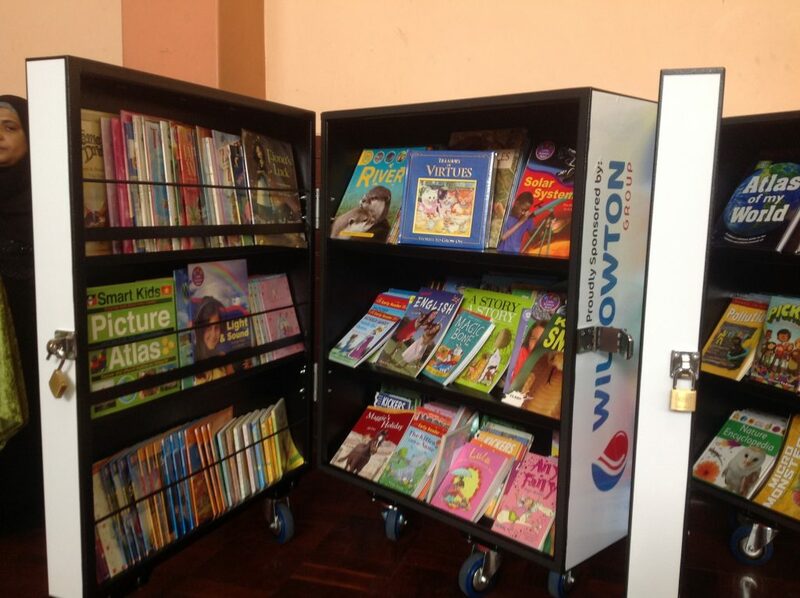 Twenty lucky primary schools will be the proud recipients of innovative mobile libraries which can be wheeled from one classroom to another. 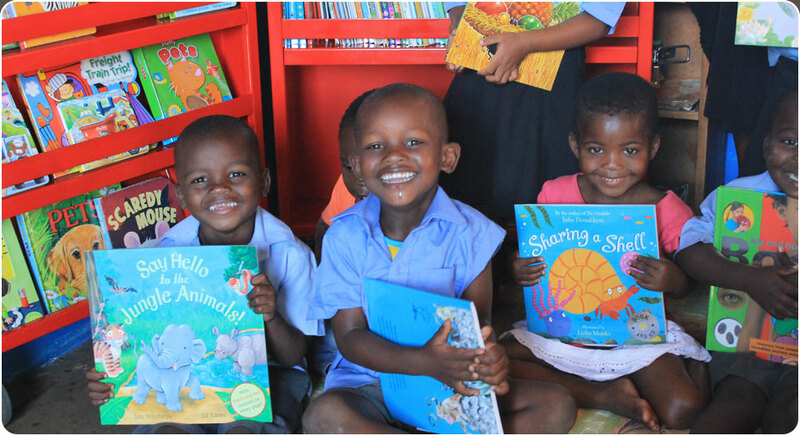 Many of our learners come from communities which don’t have libraries and it is shown that access to libraries improves learner performance and increases their chances of success. 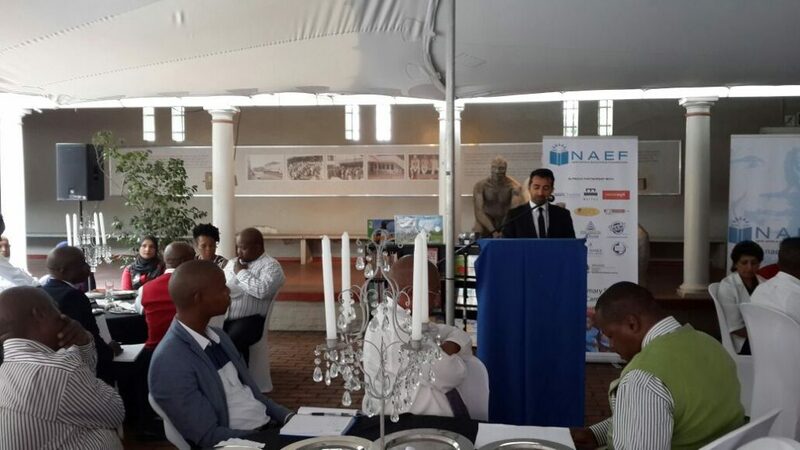 Without proper resources there can be no equity to education, the value of this sponsorship amounts to R560 000. 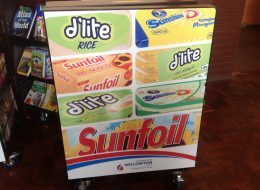 The Durban business community have opened their hearts and chequebooks to fund this project and they represent a diverse range of business houses many of whom are already involved in other educational projects viz; Classic Trading luxury bathrooms, Desai Jadwat Incorporated, Freedom Stationery, Gem Schoolwear, Hypercheck Supermarket , Impress Printers , King Shaka International Airport – Airports Company South Africa, Maytex Industries, MDLA Properties, Natal Box Manufacturers(NBF), and Pick n Win Supermarket. 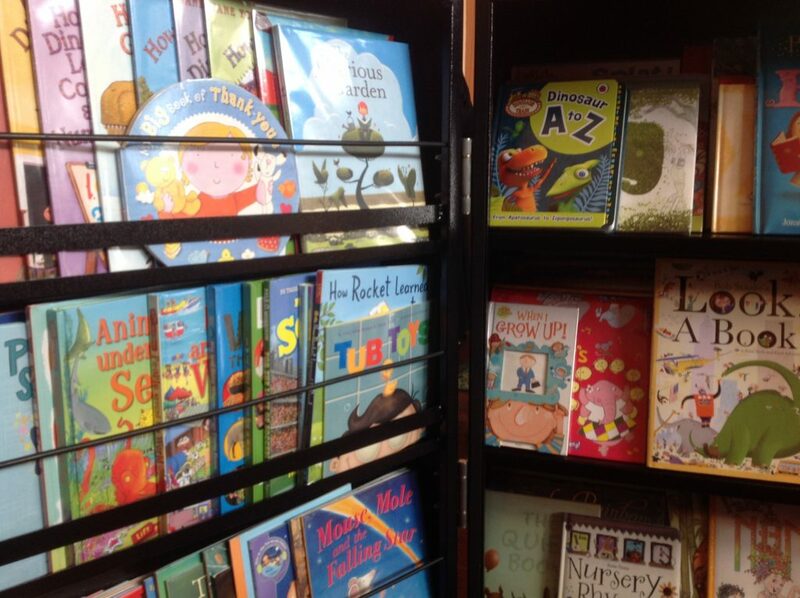 “A literate, educated society is a safer, healthier, and more prosperous society. 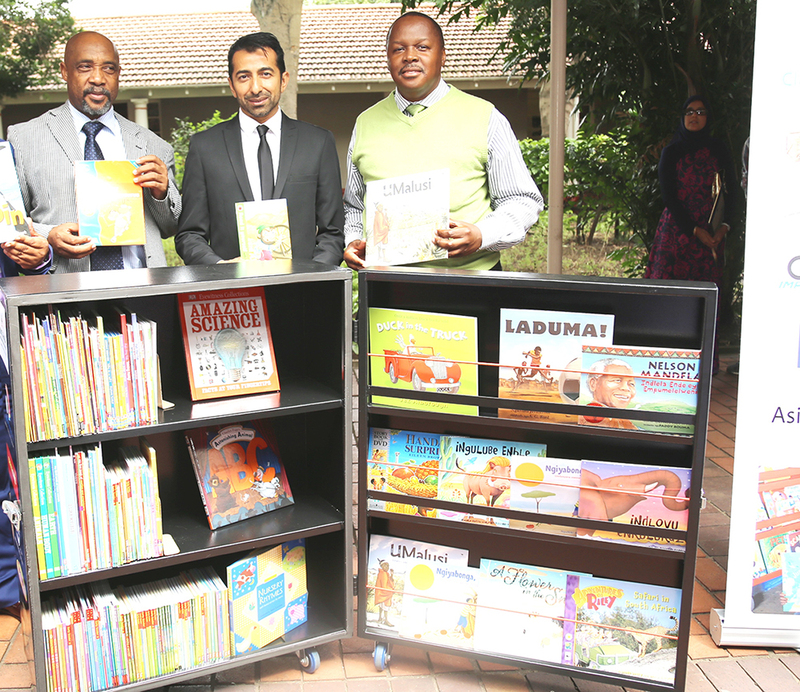 So by promoting reading, writing, and other academic subjects it will lead the way in promoting prosperity through knowledge” said Ahmed Motala C.E.O. 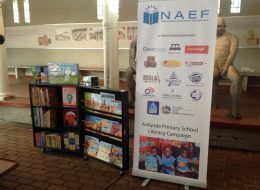 of New Africa Education Foundation, the NPO which is coordinating the project. “It is pleasing to see a public-private partnership in action, as private companies work together with government to fight these challenges. 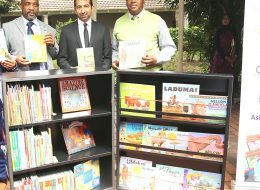 The mobile libraries donated to the schools will go a long way towards improving the literacy rate in our province,” said Mr Motala. Alfalaah College a private school based in Springfield is also partnering in the project. 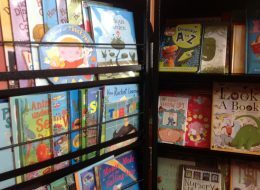 “As part of Al-Falaah College’s corporate social responsibility, the school will assist with the training of Educators on the use of the resources so that maximum benefit is derived from this investment. 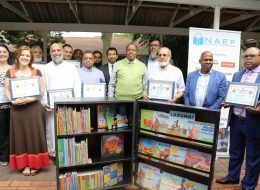 It is envisaged that the school will also make available their facilities for the underprivileged schools from time to time and some learners from Al-Falaah College will also “twin” with the underprivileged schools” said Ismail Dawood a Board member of the College. 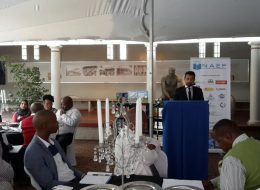 EThekwini Municipality’s, Mr Linda Mbonambi, Head of Area Based Management added that “a sound education provides learners with the foundation necessary for life; it provides the vital tools which enable self-improvement, the ability to function within society, the ability to earn a living and to make a positive impact on the economy”. 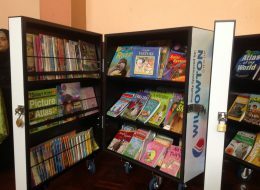 The municipality’s Library department will oversee and assist with the replenishment of books for the mobile libraries. 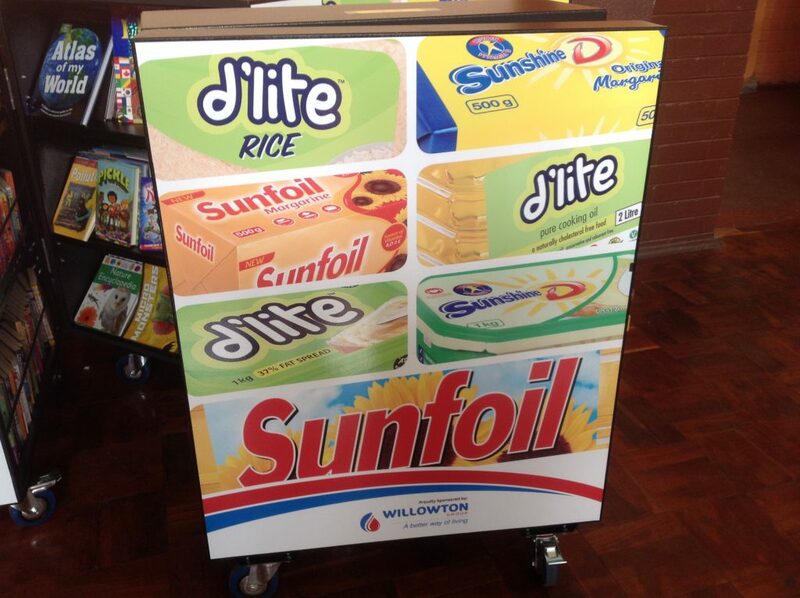 Mr N.G.Chonco, district Director Pinetown district, Department of Education (DOE Kzn) and his team assisted with the selection of schools and will also oversee the project. 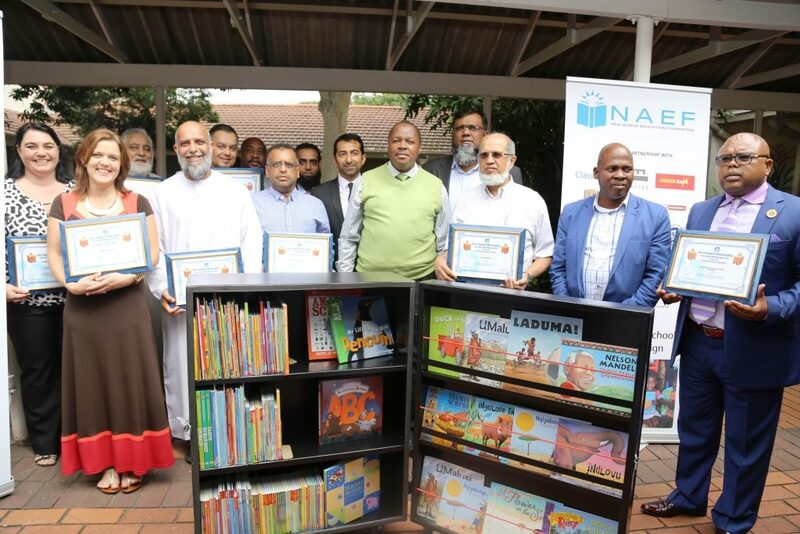 The project will be coordinated and managed by Ahmed Motala of New Africa Education Foundation, and it is envisaged that phase two of this project will target a further twenty schools in the Umlazi district South of Durban.